After about eighteen months of development, I am pleased to announce the availability of the Aquaricart, the first and only multi-cart for the Aquarius Home Computer System! 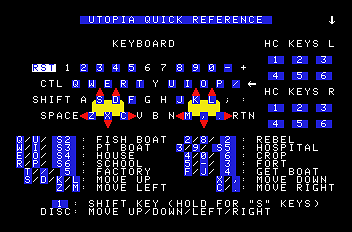 NOTE: The original Aquaricart shown above—which was built using repurposed Night Stalker cartridges—has been unavailable for some time. I have since switched to a new form factor based on the Intellivision cartridge design; see here for pictures. In addition to making the cartridges smaller, and easier to ship and store, this new design allowed me to reduce the price to $60 per cartridge (postage extra). Send me a PM, or e-mail me at aquariusproject@jaysnellen.com, if you're interested! 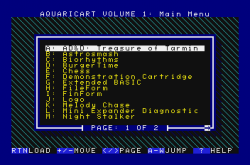 For those who are unfamiliar with it, the Aquaricart is a collection of ALL of the original cartridge software ever released for the Aquarius, along with several unreleased, prototype, and enhanced titles. 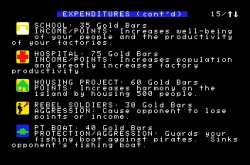 It also includes the original instruction manuals and overlays, exclusive historical information and trivia, and Quick Reference guides ... all in electronic format, so they can be printed with the Aquarius Thermal Printer or viewed on-screen! Each of these cartridges, along with the instruction manual text and other extra content, can be accessed through an easy-to-use menu interface that you can control from the keyboard or the hand controllers. Or, if you prefer to skip the menu, you can use the "Quick Boot" feature to jump immediately to the cartridge of your choice on startup. 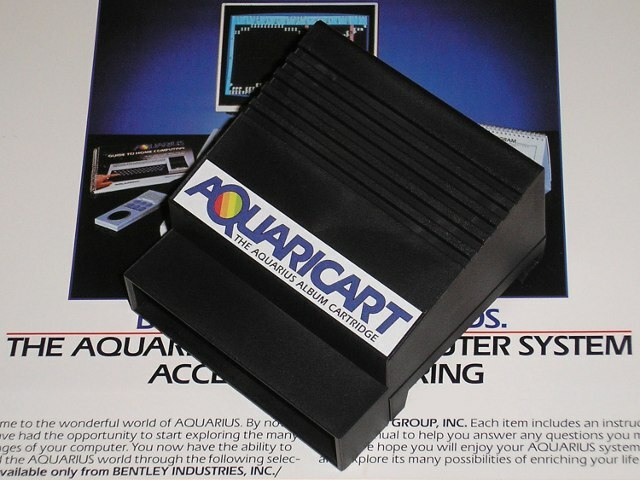 The Aquaricart is fully compatible with a stock Aquarius computer console, so no Mini Expander or extra RAM are required (although some of the cartridges in the collection recommend or require extra RAM). If you're interested in adding the Aquaricart to your collection, contact me via PM—or, if you're not an AtariAge member, click on my profile and use the e-mail link. Be sure to include your shipping address so I can calculate the postage and give you a final total. 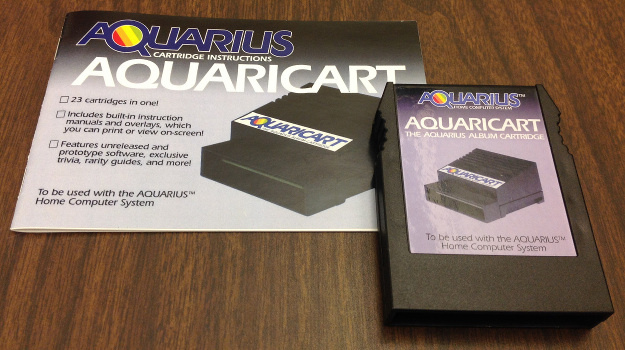 If I have an Aquaricart cartridge ready to send, we will exchange information and complete the transaction; otherwise, I will provide an estimate of when it will be available (usually within one week). I won't accept payment unless I have a tested product that is ready for shipment, so you won't be kept waiting for your order any longer than necessary. 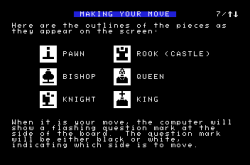 I'm in the process of putting together a web site for the Aquaricart, which will offer complete scans of the original instruction manuals and other useful Aquarius resources. In the meantime, if you're interested, you can follow the eighteen-month development history of the Aquaricart in the original project thread, which includes testimonials from fellow Aquarius owners. PM dispatched with extreme prejudice!! Green Jello is setting up nicely. WooooooHooooo!!! As an owner of this, and a longtime 'casual fan' of the Aquarius, since I was a child... If you have an Aquarius, you need this. WOW! that is AWESOME. Why must SO much video game stuff all come out at this time of year? new Inty homebrews, new odyssey 2 homebrews, all the retail stuff (rage, gow3, skyrim, etc.) Put me down for one, it just may take me a week or so to get $$ together, but I'm good for it! ask anyone here, please hold one for me if you can. upgrade kit, I have an double of at least one cart. If you sell out of these, will they ever be made available iin the future? If you sell out of these, will they ever be made available in the future? If there is enough demand for them, I'll gladly make more. Aside for the small "stockpile" that I built up to get started, I'll be making these on demand anyway. For a product with such a limited audience, I think that's a better strategy than building up a glut of inventory up front. I have no idea how many more I'll make, but I'm certain there will be plenty available for everyone who wants one. Thanks very much, and don't worry ... I've got plenty on hand for the time being. Let me know whenever you're ready. I'll have to put this one on my Christmas list for the time being, but I fully intend to get one at some point, hopefully sooner rather than later. Thanks! I'll set one aside for you (and for you too, BassGuitari). AtariAge member oldjd is also offering a tested Aquarius system in the Marketplace—complete with a Mini Expander and hand controller, which is really the best way to experience the Aquarius. I wonder, were there ever NTSC Radofin Aquarius? I´m asking because from the two PAL Aquarius I own, one is by Mattel (it seems from the UK) and one by Radofin (completly german). is there any way to modify the video output of the aquarius? I assume it is RF? any way to add composit or s-video? Yes! I own two NTSC Radofin machines, one which I bought NIB and the other which serves as one of my "testbed" machines. I once tried using this Intellivision composite upgrade in the Aquarius, since both machines share the same RF modulator. I got promising results, in that it worked about as well in the Aquarius as it did in the Intellivision, but there must have been a problem with the board I built: I got lots of vertical streaks/bands, in both the Aquarius and the Intellivision. I haven't had time to troubleshoot it since, but it seems that the Intellivision upgrade could serve as the basis for an Aquarius upgrade. When I get an Aquarius, I am so getting one of those! I saw that Shark! Shark! prototype on ebay when it had sold. jeeez, I'm beginning to think this may be too much money to get into this computer when I already have a pretty complete Intellivision collection plus the flash cart for it and an a/v modded intellivision. what games on the aquarius cart require ram expansion? Fortunately, none of the games in the Aquaricart collection require extra RAM. The programming languages and the word processor (FileForm) can use extra RAM if you have it, but the only cartridge in the collection which requires extra RAM is FinForm, the spreadsheet. Let me look through my spare Aquarius systems. A few of them have issues, but I might be able to find a working one in fairly decent shape that I can send you, along with a Mini Expander and a hand controller. Amazing price on that one. 99 cents final bid. I can also vouch for this, both using an official FinForm cart. and Jay's Aquaricart. 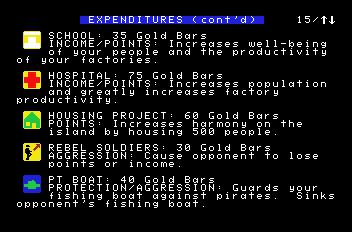 I remember the disclaimer saying it needed extra RAM in the Aquarius catalog(s). Now, ya just need a mass storage solution, Jay!! Thanks for the referral Jay. Thanks for the testimonial, Marc. 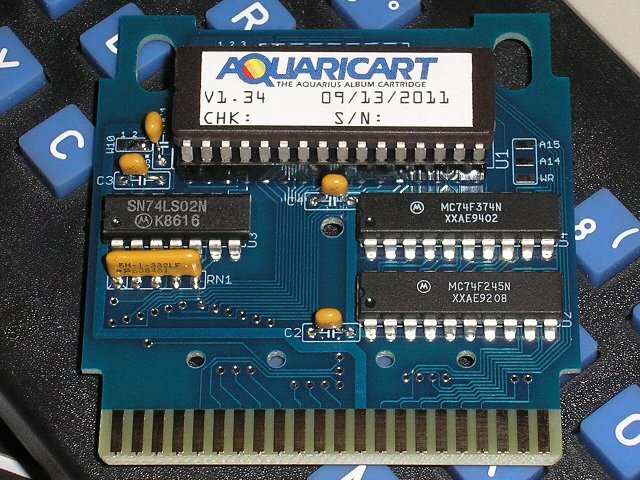 You're one of the few who are fortunate enough to own an original 32K module, so your work in testing it with the Aquaricart during the pre-release phase was indeed very helpful. I'm going through my stuff and putting together an inexpensive Aquarius bundle for anyone who might be interested in picking up an Aquarius system and the Aquaricart all at once. In the meantime, to those who already own an Aquarius, or who have just picked up the Aquaricart and want to get the most out of it ... why not stop by the Intellivision High Score Club and help to get an Aquarius High Score Contest started? The library of games may be small, but I'd love to go head to head with other Aquarius users. I'm curious to see if anybody can beat my top score on Aquarius BurgerTime! Oh man, I can't take you in Burgertime, this is for sure, Jay... But, I can wipe the floor up with you in D+D!! !